Rangers are top of the league for the first time in seven years. 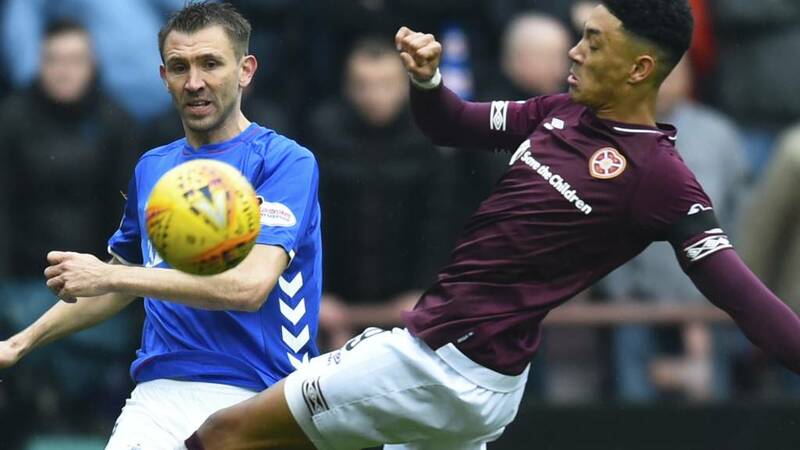 It’s monumental, and it was achieved the hard way at Tynecastle in an epic encounter which saw Rangers roll their sleeves up. Ibrox Noise takes you through our ratings for another titanic result against the odds. Can't argue with much there. Coulibaly needs dropped and McCrorie or Rossiter need a chance when we're rotating the midfield. Disappointed to see Grezda go off but was good to see him getting stuck in and improving with each game. I always say we don't get enough goals from corners so it was nice to get one today. Tavs delivery is either terrible or fantastic, there is no happy medium, thankfully today he was on form. Well done Rangers. Job done once again in difficult circumstances. I personally thought Arfield was hard done by and think a yellow should've been sufficient. If you watch the incident closely you'll see the goalkeeper fumbled the ball slightly and that's what tempted Arfield to go for it. Well done to Morelos for keeping his head under intense provocation too. Leveins post match comments where he launched a disgusting personal attack on Morelos were a disgrace and shameful. If he doesn't get charged for those comments and on the officials then questions must be asked. Interesting once again that there are still 4 or 5 players not pulling performances out when required. We know that players like Arfield, Coulibally, Ojaria, Jack etc. are more than capable of raising their level of performance. Can we just imagine that we can pull everyone's performance level up a bit consistently, add a couple of quality players in January, and stop putting ourselves in trouble with red cards (though admittedly that is often beyond our control). We might, just might, be able to stay top of this table. Another ballsy performance from the boys. determined, worked hard and stuck together when they went down to 10 men. be interesting to see who comes in for Arfield. would like to see a midfield 3 of Rossiter, Jack and Ejaria. Great all-round performance. The one thing that needs work is their passing. The amount of times our ball gets intercepted is too much. Ejaria could be a good player, but he needs to get stuck-in, more and show some bravery. The game passed Ejaria by and he should have been the one taken off.I thought Coulibaly did a lot of good work , winning the ball and covering off it but agree his passing was poor .Can`t understand why people want Rossiter straight back in the team he has done nothing to justify getting a game and McCrorie should be given a chance before him.